Spring must be in the air in the Northeast United States, because Bob “Dr. Mac” LeVitus will be out and about on his annual Mid-Atlantic MUG Tour. Please check each user group and event web site for times, locations and information on attending, but be sure to catch one of the most respected Mac and Apple journalists around live and in person. Bob LeVitus, often referred to as “Dr. Mac,” is a leading authority on the Macintosh, Mac OS X, and other Apple products such as iPads and iPhones. One of the Apple community’s most trusted gurus for over twenty five years, he’s known for his trademark humorous style and unerring ability to translate “techie” jargon into usable and fun advice for regular folks. A prolific author, LeVitus has written or co-written more than 65 popular computer books, with over two million copies sold worldwide in at least a dozen languages. His recent titles include: iPad For Dummies, iPhone 5 For Dummies, OS X Mountain Lion For Dummies, and Microsoft Office 2011 For Mac For Dummies, all for Wiley Publishing. For over 15 years Bob has been the Apple technology columnist for the Houston Chronicle, penning the Dr. Mac column on Tuesdays in print and Wednesdays on the Web. Bob has been published in more than a dozen computer magazines over the past twenty five years including: a three-year stint as Editor-in-Chief of the irreverent and unpredictable MACazine; four different columns in MacUser magazine—Beating the System, Personal Best, Game Room, and the Help Folder (with Andy Ihnatko, and later, Chris Breen). Though best known for his writing, he’s also dabbled in broadcasting with a radio show (Inside Mac Radio, CNET Radio, 2001-2002) and hosted a popular television series (Mac Today, Syndicated, 1992–1993). 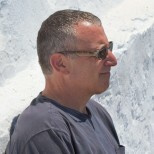 In addition to his writing, LeVitus is the proprietor of a personal technology consulting business, providing expert technical help and training to users of Apple products anywhere in the world, in real time and at reasonable prices, via telephone, e-mail, and/or its own unique Internet-enabled remote control software. If you’re having a problem with your Mac or want to learn how to do almost anything with it, point your browser at: http://www.boblevitus.com or give them a call at (408) 627-7577. Another of Bob’s loves is teaching. He is a popular instructor for the University of Texas Informal Classes program, with courses that include Master Your iPhone, Master Your Mac, Master Your iPad, Making Movies with iMovie, Producing Music with GarageBand, and Learn to Win at Texas Hold ‘Em Poker. Prior to giving in to his obsession with Apple technology, Bob worked in Los Angeles as a so-called ad man, producing television commercials, radio spots, and print ads for Kresser & Robbins and SelecTV. He holds a B.S. in Marketing from California State University and resides in central Texas with his beautiful wife Lisa and Zeke the Vizsla-Wiener dog, with occasional visits from daughter Allison (a celebrated Denver area chef) and Jacob (third-year Jayhawk at KU).